Antigua is one of the 2 main islands that make up the Caribbean nation of Antigua and Barbuda. The island is surrounded by coral reefs and is known for its numerous sandy beaches. Along the English Harbor, is Nelson’s Dockyard, which was the base of Admiral Horatio Nelson in the 1780s and includes a marina and the Dockyard Museum. There are trails that ascend to Shirley Heights, an old military observation post with a panoramic view. Antigua has 365 beaches, one for every day of the year, but if you’re like me, you don’t have that many days in paradise to see them all. And it’s not hard to find one, two or even ten that are your favorites. 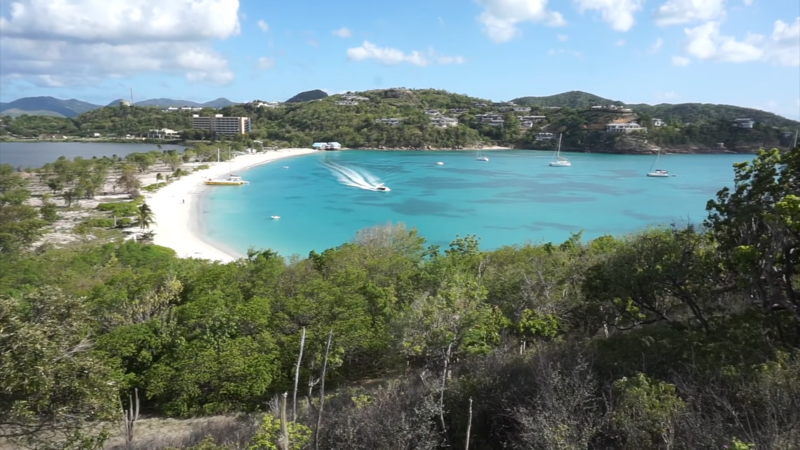 Antigua has some of the finest beaches in the Caribbean. Some are full of action, with water sports and crowds, and others are calm and family friendly, but a surprising number of them remain undeveloped, while others are completely secluded, castaway beaches. Antigua has a beach for every occasion. Beeing honest, it’s a sadness not to be able to see how lovely is each one of the beaches on the island are. The island itself measures only 20 kilometers long and 17 kilometers wide and is full of rolling green hills, towering palm trees and endless stretches of sand. Whether you are looking to people watch under an umbrella, snorkel, windsurf or simply swim in the clear waters; you can have it all here. 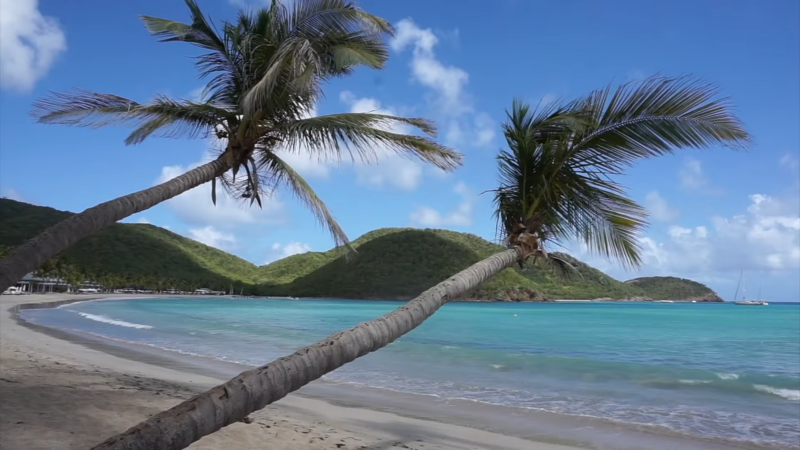 From the famous pink sands to the waters that are a stunning royal blue color to beaches that are accessible only by boat, discover our choices for the best 6 beaches on this stunning island. 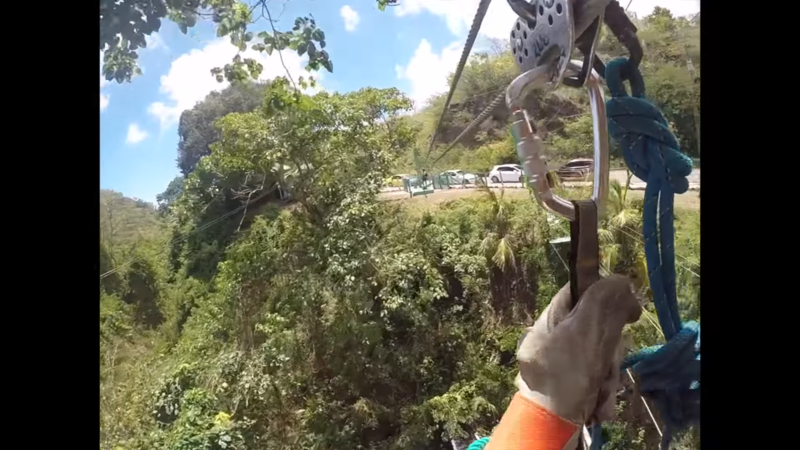 If you want an adrenaline fix and a change from the beach or guided bus tour, or swing through the trees like Tarzan.. you would find Antigua Rainforest, they provide you with a safe way to enjoy flying through the trees on a zipline. It’s not just about ziplining however as there are other rope and bridge based challenges through the rainforest canopy. The canopy itself is a vibrant eco system and this 1.5 hour or 2.5 tour allow you to soak it up while having the thrill! The culmination of the 11 previous zips is the biggest longest one called the screamer at roughly 330 feet across and 330 feet high ! But you’re not done yet the final mark is a controlled descent of 45 feet so its jump time one last time – you will leave thrilled ! You will need to be at least 4 years of age and 4ft tall and less than 250lbs to take part in the full course. This is a very safe outfit be assured and zipline tours are common throughout the world these days. 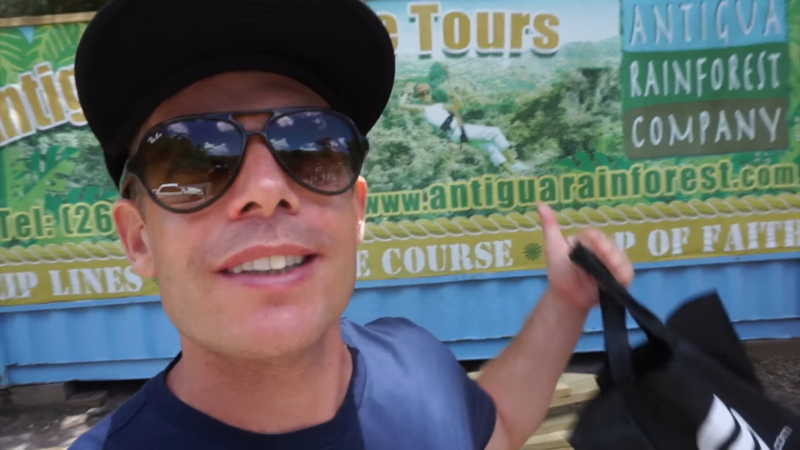 The Antigua Rainforest Zipline Tour is a unique eco-tour through Antigua’s lush rainforest for all ages, witch mean that it might be possible to do as a family. The most fun & excitement you can pack into a day on one island! The Antigua Rainforest Zipline Tour is a unique eco-tour through Antigua’s lush rainforest for all ages, witch mean that it might be possible to do as a family. The most fun & excitement you can pack into a day on one island! As always Rob you don’t disappoint with your content. Really beautiful beaches along with the harbours & forts make for a very great day of exploring! I really like paperboyo Instagram some very cool different type of images on it! The other gent’s YT & Instagram as well have been added to my viewing choices.Thanks for sharing others in the community of travelers as I have really come across many other great creators & travelers via your channel. Take care continued great & safe traveling experiences. The footage wasn’t toooo bad! Haha. This seems like so long ago now! Looks pretty sweet. Cannons accomplished.